Eurban Associate & BIM Manager Eoin McCooey explains the benefits of BIM to timber engineering and to the sub-contracting sector in Part 1 of this long-form article. Fifteen years ago, the construction industry was in a very different place. CLT was a relatively new invention and BIM was an exciting buzzword. Eurban, who had just opened their doors, were issuing 2D drawings to manufacturers for fabrication. 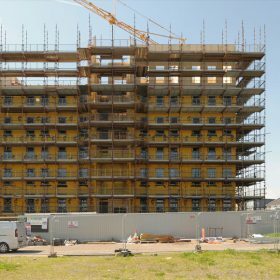 BIM (Building Information Modelling) and Engineered Timber, in particular CLT (Cross Laminated Timber) have evolved a great deal over the last decade. They have, more or less, developed in parallel since their creation at the end of the 20th century. 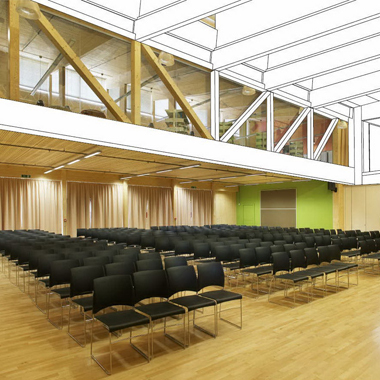 Now timber structures reach new heights every week and BIM is the hot topic in the construction industry. BIM has the potential to improve workflows drastically as well as to improve the efficiency of design and engineering. It is also, arguably, essential to utilize 3D models to allow efficient co-ordination, fabrication and installation of manufactured timber components, such as CLT. 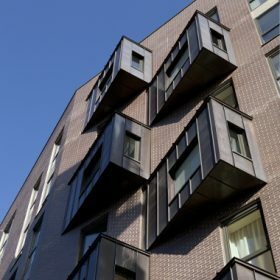 Interestingly, the biggest push for the adoption of BIM is not coming from the immediate beneficiaries within construction and timber industries, it’s coming from the government. Our policy makers are setting the agenda. The ‘Government Construction Strategy’, 2011, announced that collaborative 3D BIM should be adopted in all of their own construction projects by April 2016 and, further, that “data validation” should be in place by October 2016. In other words, all departments ought to have the capability to validate all BIM information received from the supply chain electronically. To improve on efficiency of imports and exports. Information is the most important aspect of BIM and there is a lot of it out there. Not all of it helpful, however, and poor information, whether poor content or poorly managed content, is one of the greatest hurdles facing the industry. One crucial misconception about BIM is the acronym itself. BIM is not exclusively about 3D models, software, clash-detection and top-of-the-line computers; in fact, it doesn’t even have to be about buildings. BIM is a process – an information sharing process – that is not dissimilar to traditional ways of working. Put simply, BIM digitises the traditional process to allow for better automation and for workflows that are more efficient. This is why some have started referring to BIM as “Better Information Management”. This is managed information sharing. Couldn’t those drawings be automatically generated from a 3D model? The same model that could assist with further co-ordination and decision-making, as well as contain all the relevant information required by the team and client? So how do we know which member of the team needs which data, to what level, and when? These questions are key to Level 2 BIM: Structure and Standards. It isn’t possible to manage a project successfully, or to achieve Level 2 BIM, without knowing who needs what information, and when. BIM isn’t just about populating 3D models with as much information as possible, all projects hoping to achieve Level 2 BIM must also have a clear and complete Employers Information Requirements (EIR) document. The government’s BIM task group has stated that an EIR is required for all public sector projects. Clear direction from the client allows the design team and suppliers to create a BIM Execution Plan (BEP). A pre-contract BEP allows suppliers to provide their proposed approach, capability, and competence in order to meet the EIR, as outlined in PS1192-2:2013. Once the contract is awarded, a post-contract BEP is issued confirming capabilities and providing a Master Information Delivery Plan (MIDP). using which protocols and procedures. The NBS BIM Toolkit is a free-to-use, web-based platform that assists in the creation of this suite of documents. Although BIM is all about Information, it’s true to say that the effective exchange of this information is crucial. Construction Operation Building Information Exchange (COBie) enables such an exchange. A list of all the managed and maintained assets in the building, i.e. spaces, equipment and finishes to a pre-agreed structure, COBie can also be described as a ‘digital O&M manual’ that comes in the form of a spreadsheet. 3D modelling platforms have developed tools that allow users to generate a COBie spreadsheet directly from the BIM model, saving time, improving quality and checks. COBie is the agreed standard for information delivery and exchange. This information may be input into the BIM process by various members of the design team: the architects, engineers or other main consultants. You may wonder how the supply chain fits into this process. Manufacturer-specific BIM objects are one way to deliver products’ data to the design team, however, this requires a significant level of investment, software and skills on the part of the manufacturer. Another route for product manufacturers to provide BIM data in a structured format is to use Product Data Sheets (PDS). The Chartered Institute of Building Services Engineers’ (CIBSE) BIM group have volunteered support to the supply chain by creating a library of Product Data Templates for various product types. Manufacturers can download the templates and populate with their products’ data in order to create a specific PDS. Designers can then import this data into BIM software. Next month, in Part 2, the benefits of BIM are explained against the RIBA Plan of Work.